There is a mcx file for each character. These files can be opened and modified. 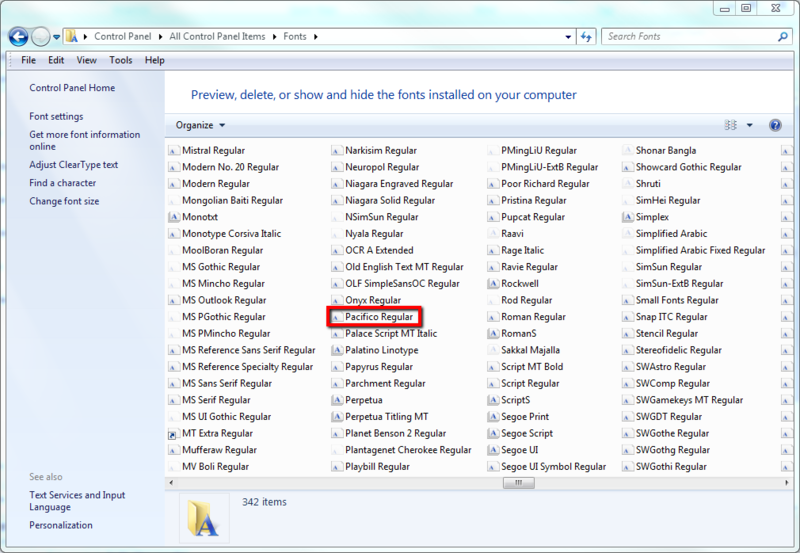 If these are going to be modified, it is highly recommended that the new files be saved in their own folders. This way the originals will not be overwritten. 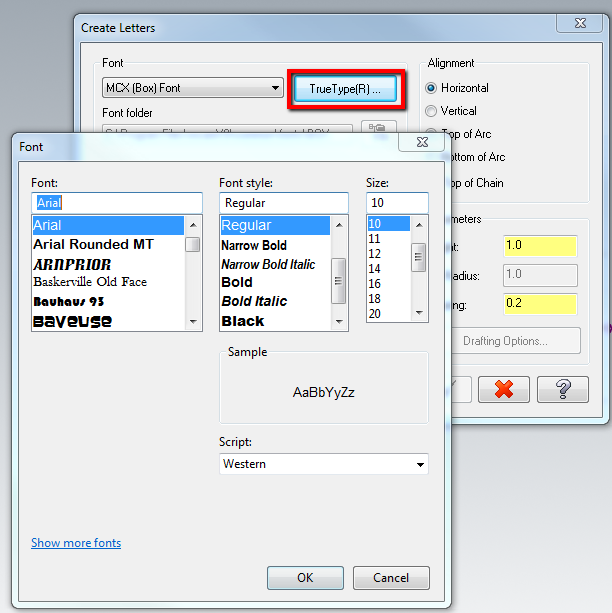 To select a new font (or one that has been modified and has been saved to its own folder), select MCX (Other) Font and browse the folder the font is stored in. 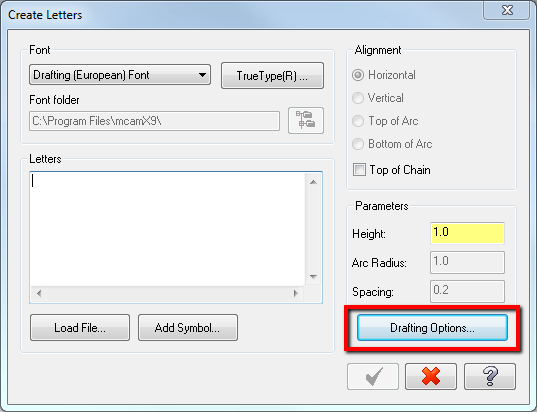 TrueType font and styles present on a system can be used by Mastercam. Note: The size selected will be overridden by the height found under parameters. 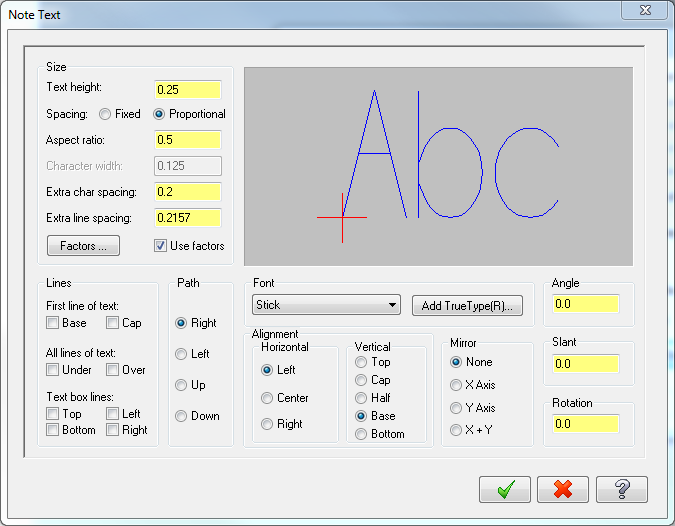 TrueType Fonts can be added to a system. 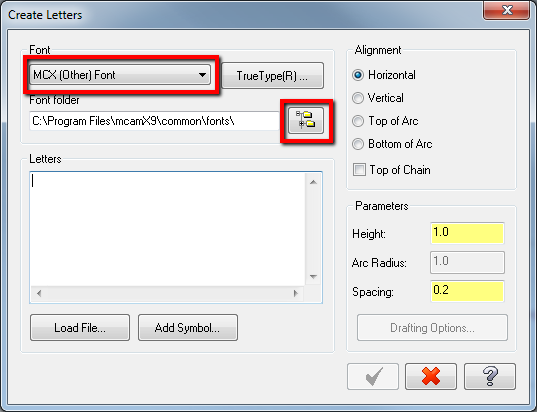 Each font will be saved in its own file with an extension of ttf. 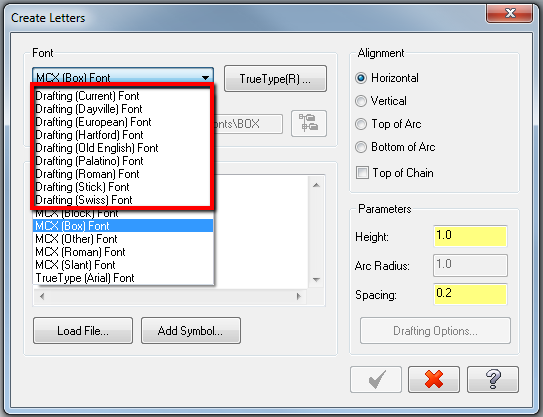 There are a few methods to add a TrueType Font to a system and the method may vary depending on the Windows version present. Therefore one may need to look into the steps required if the below is not applicable to their system. 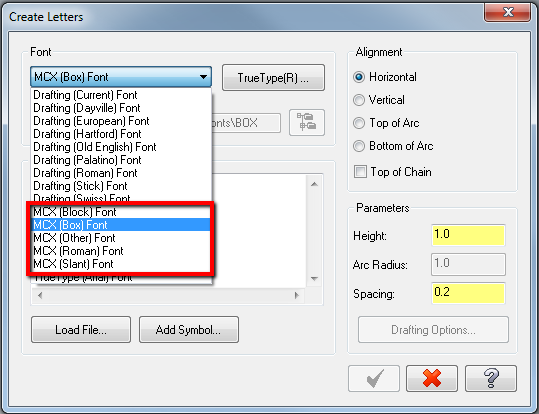 Right click over TrueType Font file and select Install. 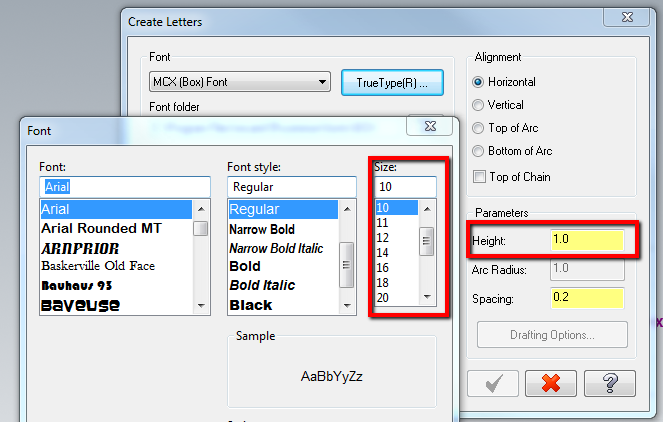 Right click over TrueType Font file and select Preview. All installed TrueType Fonts will be stated here.